Germany confectionery company Katjes Fassin has announced that it has acquired an unspecified stake in the UK sweets firm Candy Kittens. Founded in 2012 and promoted as “a fashionable confectionery brand that is truly young at heart”, Candy Kittens markets a range of “gourmet sweets” in flavours such as pineapple, watermelon and blueberry. The products are described as being free from gluten, artificial colours and artificial flavours. “Katjes is a pioneer in everything natural and a trendsetter in vegetarian fruit gums”, commented Bastian Fassin, managing partner at Katjes Fassin. 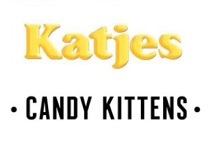 “The values and vision that Katjes embodies are a perfect match for Candy Kittens’ innovative approach”. The Candy Kittens deal is Katjes Fassin’s latest expansion in sugar confectionery. Last year, the firm acquired the Italian arm of the Swedish confectioner Cloetta in a deal worth $53.4 million.